I had originally wanted to buy durian puffs from Putri Mas last Saturday. 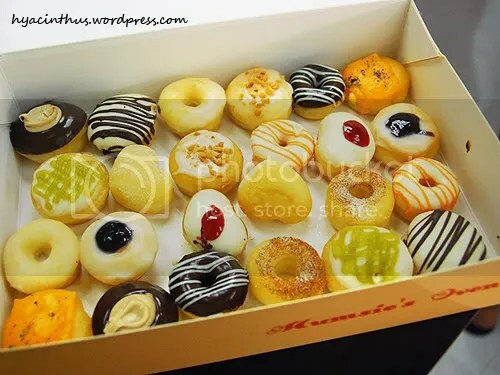 Bought this box of 24 “cutie kiddy size” donuts instead for S$8.50. Diameter of these donuts is about 2 inches. Have not eaten other donuts other than dunkin donuts. Taste is okay lah. 2.7 out of 5. How did the sandwich bread turn out? How many days have passed? How high is 40-storey HDB flat? Photoshop CS3 Up and Running!